I’ve got to say there are a lot of quick build condos coming up and the attention to detail, and most definitely the build quality is not anywhere near the level of the Le Roc Fleuri Penthouse. 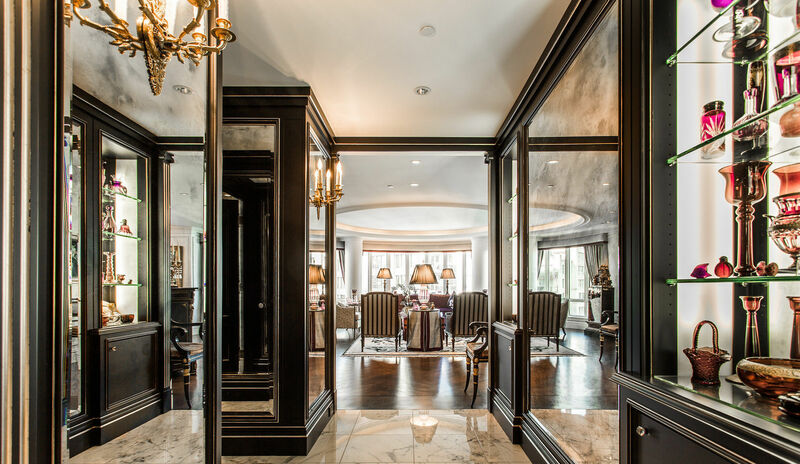 Let’s take a look at one of the finest palaces in the sky currently on the market in all of Canada. With just over 2,600 square feet of lavish living space, this unit has been custom design including heated marble floors. I absolutely love they interior design and layout, the owners did a superb job of making this place something truly special. There are two bedrooms plus a den, as well as three marble laden bathrooms throughout this penthouse. You’ll find those marble touches throughout the house along with the mahogany which just seems to go together like PB & J. The Le Roc Fleuri penthouse is now on the market for a cool $3,695,000 CAD and it’s listed with Sotheby’s International Realty agent J.J. Jacobs who can be reached at 514.817.7020 to learn more.